After a really good night sleep at Schooler House Bed and Breakfast, Brett and I decided to enjoy part of our day in Fredericksburg. We woke around 8:00am when the air kicked on and brought with its cool air the wonderful smell of French Toast. It didn’t take us long to get ready knowing we were about to enjoy another delicious breakfast. 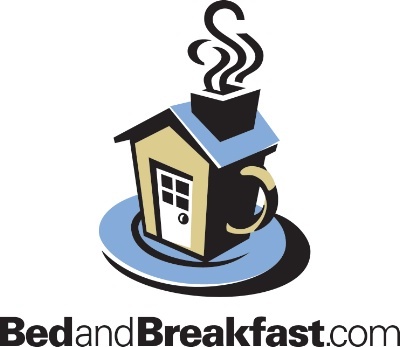 After breakfast, I spent a few minutes talking Bed and Breakfast with the innkeeper, Andi, while Brett enjoyed playing with Enzo, her Inn puppy. It is hard to believe we were just there two weekends ago when you see how much Enzo has grown. After we packed and said our good-byes, Brett and I headed over to Kenmore Plantation, located right in the middle of Old Towne Fredericksburg. Kenmore was the home of Fielding Lewis and his wife, Betty Washington Lewis. Betty was George Washington’s sister. You may remember the last name “Lewis” from our visit to the Inn at Warner Hall. Fielding was the younger son of John Lewis and Francis Fielding. Fielding was born at Warner Hall. Fielding was a successful merchant in Fredericksburg and was appointed Commissary General of Munitions during the American Revolutionary War. This Georgian Mansion was completed in 1776 on their 1,300 acre plantation. This plantation produced a combination of tobacco, corn and wheat and had more than 80 slaves. One of the most impressive features is the remarkable decorative plaster work on the ceilings and walls in many of the rooms on the first floor. This plaster work was done by the same artist that did the plaster work at Mount Vernon. During the Civil War, this mansion was used as a Union hospital after the Battle of the Wilderness in 1864. It would be used later by Union troops on their way to Richmond at the close of the war. Today, you can still see scars from the Civil War on the mansion. Lodged in one of the outside walls is a cannon ball. At Kenmore, the tour guide kept referring to the different sides of the exterior as the Carriage Entry and the Riverfront Entry. Just like Belle Grove, Kenmore was built with its main entry facing the Rappahannock River. 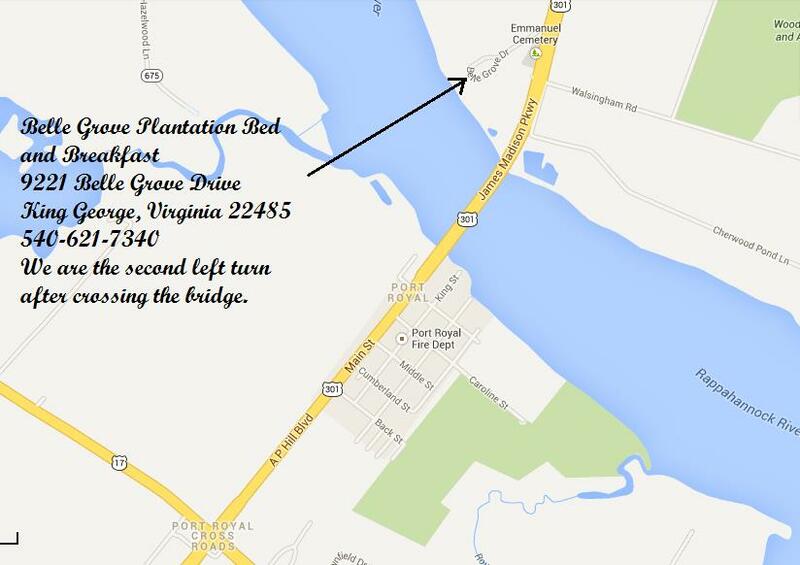 It doesn’t sit as close to the river as Belle Grove. It is about five or six blocks back from the river. But I like the name of the side that carriages would have entered. So instead of calling the side of Belle Grove facing the Plantation, the Plantation Side, we are going to call it the Carriage Entry. It just sounds more appropriate. 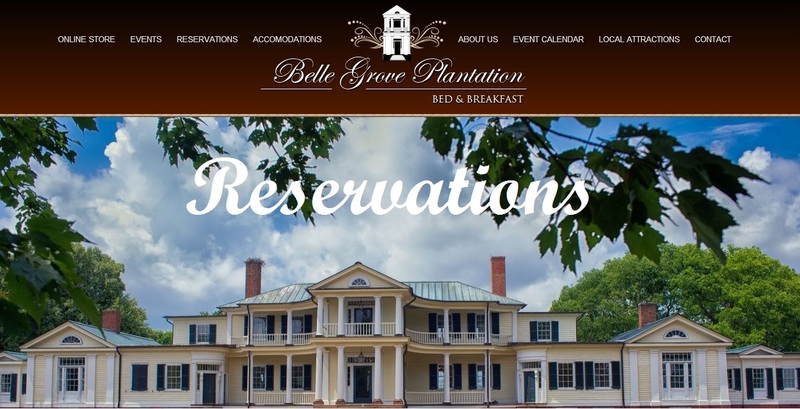 So when you arrive at Belle Grove, you will come in on the Carriage Entry and will have to drive around the Bowling Green to reach the door. The tour started in the visitor center where we had a chance to see portraits of the family and furniture from the Lewis time period. There was also a model of what Fredericksburg looked like during the Lewis time period. How things have changed. These chairs are from the family of Mildred Gregory, first cousin to Betty Washington Lewis. They were given as a gift to Kenmore in 1928 by the Daughters of 1812. The Daughters of 1812 just recently toured Belle Grove in June 2012. These earring of topaz, silver and gold (1770-England) belonged to Betty Washington Lewis and were passed down through the female line of the family. You can buy a copy of these at Kenmore. We then went to the house and toured the main floor. As you enter through the double doors on the Carriage side, you enter the Receiving Hall. It isn’t as large as our Main Hall at Belle Grove, but was very impressive with its winding staircase and architectural details. We then viewed Betty’s room on the main floor. The plaster work was just beautiful! From there we moved to the main formal parlor where they would have entertained guest and would have had wonderful meals. Then into the ladies parlor which was called the Season’s Room. In the plaster work in this room, you can see each of the seasons. We also viewed a lesser room Fielding would have used as an office to conduct business. Anyone up for using this at Belle Grove? At the end of the tour, Brett and I walked around to the Riverfront Entry to view the walking garden. It was a well laid out garden with wildflowers throughout. There was also a small sitting garden that was separated by a small wall. 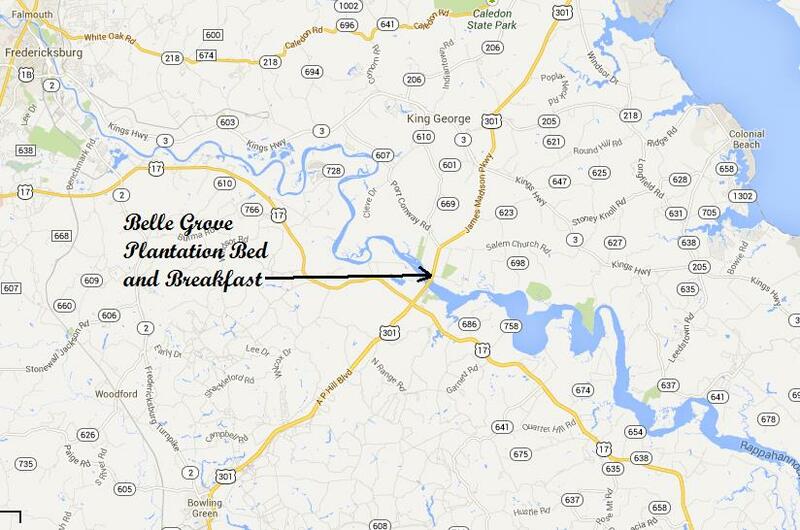 From here, we headed by down Route 3 (Kings Highway) towards Port Conway and our favorite plantation, Belle Grove. We drove in and were again greeted by the family of wild turkeys. They were standing on the edge of the tree line that separates the church and Belle Grove. We pulled up to the entry gate just to view the house. We decided not to go any farther, but enjoyed the view that many guest will see as they come in. We headed over to Port Royal and stopped just across the River at one of our favorite restaurants, River Haven. 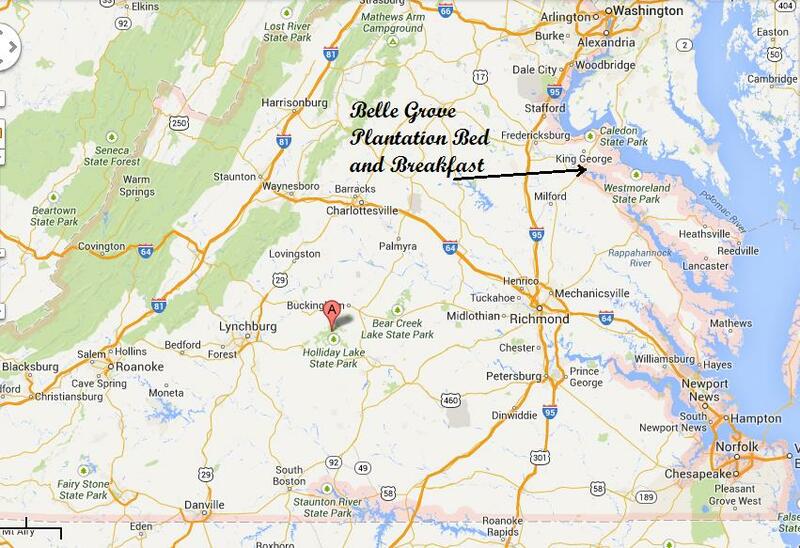 We took our favorite seat by the back window with a view of the river and Belle Grove. As we ate a quick lunch, we were able to watch a pair of Osprey, (maybe James and Dolley) flying over the river looking for fish. I had never seen them dive for a fish, but had the wonderful treat of seeing it happen three times! It was a wonder to see. After just one more look across the river at Belle Grove, we headed home. It was a great celebration weekend filled with wonderful sights. Now we have a new chapter to write. 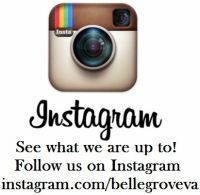 We are looking forward to filling this chapter with the excitement of bringing Belle Grove Plantation back to life. We thought so too! It was just a beautiful plantation home!